This was definitely one of two winning desserts. I was a tiny bit skeptical of this because I was worried about the tartness of the Blackberries being overpowering. Not that skeptical though, because after all it is a Martha recipe :). Well, she is right on the mark, not surprisingly. 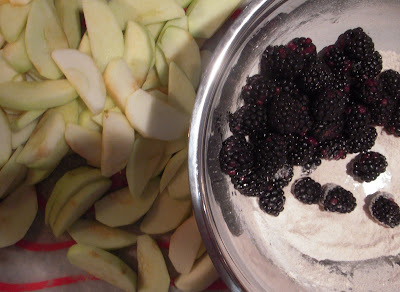 With the baking + sugar + cinnamon, the blackberries sweetened right up. Scrumptious I would even say. 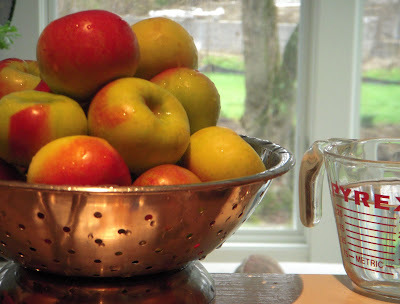 A nice twist to apple pie and a prettier name :). I highly recommend for Christmas. The recipe is super easy, the only time that needs to be factored in is the refrigeration of this very simple dough. 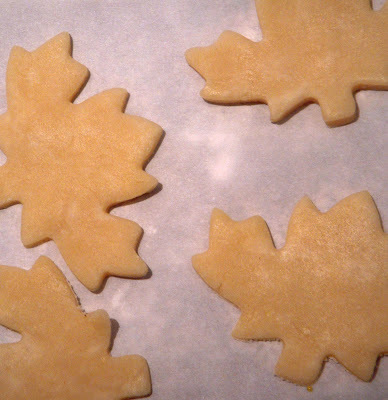 Martha recommends varying leaf cookie cutters. I only had this one. Worked a-okay. 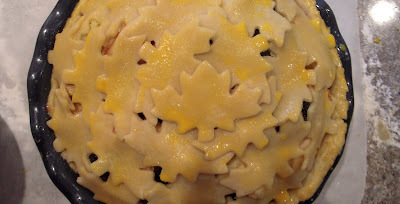 My concern was that people would see the maple leaf and think there was maple involved in the pie. 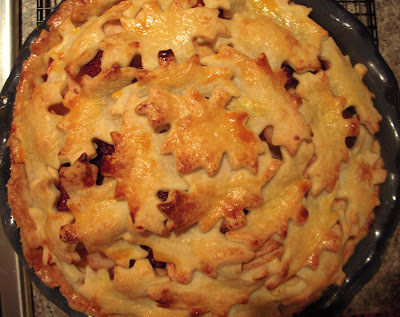 My little sister rolled her eyes at me and reminded that most are thinking that seriously when they look at a Thanksgiving pie :). Oopsie. Little egg wash, little baking, and she was good to go. Anyone can make this. Promise.